There appears to be a third scramble for Africa underway. This follows the first which occurred during the Berlin Conference of 1884 and the second during the Cold War. The Member of Parliament for Okaikoi Central, Mr Patrick Yaw Boamah has drawn the attention of the authorities to the numerous accidents on the George Walker Bush Highway and called for measures to stop the carnage on that road. The Upper West Regional Coordinator for the National Youth Authority (NYA), Mr Sulemana Mumuni, has appealed to the new minister for youth and sports to strive to make youth development a priority. The Young Democrats, a youth group sympathetic to the National Democratic Congress (NDC), has petitioned the Inspector General of Police to effect the arrest of the leadership of ‘Let My Vote Count’, whose actions and utterances disturb the peace and stability of the country. ‘Let My Vote Count Alliance’, a multi party pressure group campaigning for support and justice towards the presidential election petition at the Supreme Court have urged Ghanaians to have confidence in the court’s ability to deliver justice on the matter. The Member of Parliament (MP) for Mfantseman, Mr Aquinas Tawiah Quansah, has appealed to Ghanaians to come to terms with the increment in the prices of petroleum products to accelerate national development. Prophet Stephen Adom Kyei-Duah of the Believers Worship Centre at Kenyasi, near Kumasi, has cautioned men and women of God to be careful with how they disclose prophesies in order not to cause tension. The Committee for Joint Action (CJA) has condemned the recent increases in the prices of petroleum products. The Coalition of Ghanaian Voters, a pressure group, has petitioned the Speaker of Parliament, Mr Edward Doe Adjaho, against what it termed disparaging and insulting remarks about the President, Mr John Mahama and open threats against some judges of the Supreme Court by 'Let My Vote Count', another pressure group. The Director of Communications of the New Patriotic Party (NPP), Nana Akomea, has stated that the Electoral Commission (EC) now has the responsibility to explain to the Supreme Court the different figures it gave for the total number of voters on the electoral roll. The Member of Parliament (MP) for Lawra in the Upper West Region, Mr Samson Abu, has promised to deliver development to and enhance the living standard of his constituents to justify the confidence they have reposed in him. The Central Region Election Directorate of the National Democratic Congress (NDC) has congratulated Mr E.K.T. Addo on his nomination as the Central Regional Minister. The Member of Parliament for Tolon Constituency, Mr Wahab Suhiyini Wumbei, has called for an enhanced collaboration between members of the legislature and the district assemblies, particularly the District Chief Executives for accelerated national development. Centre for the Development of People (CEDEP), a non-governmental organisation based in Kumasi, has organised a day’s workshop for females and persons with disabilities (PWDs) who contested the 2012 parliamentary elections in the Ashanti Region to share their experiences. 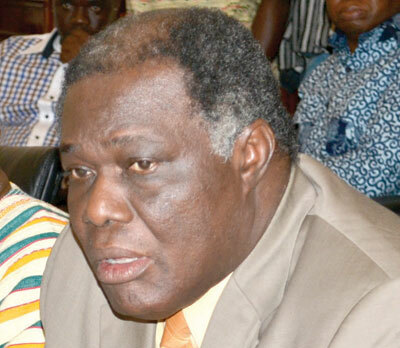 The bye-election to elect a Member of Parliament (MP) for the vacant Buem Constituency of the Volta Region, is set for February 26, 2013. 'Prophet Owusu-Bempah's utterances in bad faith"
The John Institute of African Politics and Society, a civil society social democratic think tank, has noted with deep concern the recent utterances of the Head Pastor of the Glorious Word Power Ministry International, Prophet Owusu-Bempah, regarding some political developments in the country. Fuel politics: Is it an albatross on neck of governments? The Member of Parliament for Ho-West, Mr Emmanuel Kwesi Bedzrah, has noted with concern the recent media publications caused by some pressure groups agitating for his nomination by the President as the next Volta Regional Minister. The first round of the vetting of ministerial nominees which began on January 24, this year, ended last Thursday with 37 appointees of the President appearing before the Appointments Committee of Parliament within the period. The Moderator of the General Assembly of the Presbyterian Church of Ghana, Rt. Rev. Professor Emmanuel Martey, has asked Christians and men of exceptional and principled character to take up political leadership in the country. The NDC Member of Parliament for Sanerigu, Alhaji A.B.A Fuseini, has called for a conscious effort to revamp the production of rice in the country. The President, Mr John Dramani Mahama, is to deliver the State of the Nation Address to Parliament on Thursday, February 21, 2013. The New Patriotic Party Member of Parliament for Effutu, Mr Alex Afenyo-Markins, has called on the people in the area to let the era of ‘blame game’ be a thing of the past. The opposition New Patriotic Party (NPP) has welcomed the President’s decision to abide by the Supreme Court ruling in the petition challenging his legitimacy. Former New Patriotic Party (NPP) Member of Parliament for Asikuma-Odoben-Brakwa, Mr Paul Collins Appiah Ofori, has accused state prosecutors of complacency in the prosecution of the judgement debt case involving Mr Alfred Woyome. The controversial son of Ghana's first President, Dr. Sekou Nkrumah, has stated that the governing National Democratic Congress (NDC) lacks the organisational ability to accelerate Ghana’s development.